It’s no secret that public schools struggle with funding, and when budgets get tightened, it’s often classes like music and theater that bear the brunt of the cutbacks. But students at New York’s P.S. 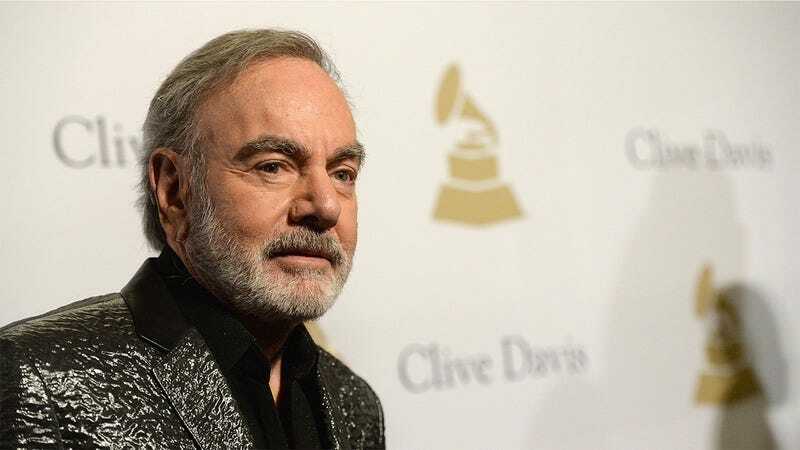 129 just got an amazing gift that’s sure to breathe new life into their arts program: Neil Diamond just announced that he will be donating every last one of his remaining groupies to their school. Wow. What an absolutely amazing gesture from a music legend. It’s not hard to imagine what a difference this donation will make for so many of P.S. 129’s students. Sadly, these are kids who may have never otherwise gotten the chance to even meet a groupie, let alone walk through lingering clouds of their cigarette smoke on a daily basis. As school budgets continue to get slashed, gifts like these groupies can make a huge difference for kids whose normal curriculums might not include anything at all about bribing a roadie with a bottle of Jameson to get backstage or the things that Neil Diamond does and does not like women to do with their tongues. And these aren’t just any groupies, either. These are the very same women who have been following Neil Diamond around on tour for decades, braiding each other’s hair in his dressing room backstage as he wowed enormous audiences across the country with his hit songs. Some of them have also had stints as groupies for other major headline acts from the ’60s and ’70s, including Grand Funk Railroad and Jethro Tull. While not everyone has a natural proclivity to music, getting to be around women who have enjoyed such proximity to rock ’n’ roll history is sure to get even the most stubborn kids excited about learning. Truly incredible. Talk about a celebrity going above and beyond for a cause close to his heart. Neil Diamond, our hats are off to you!